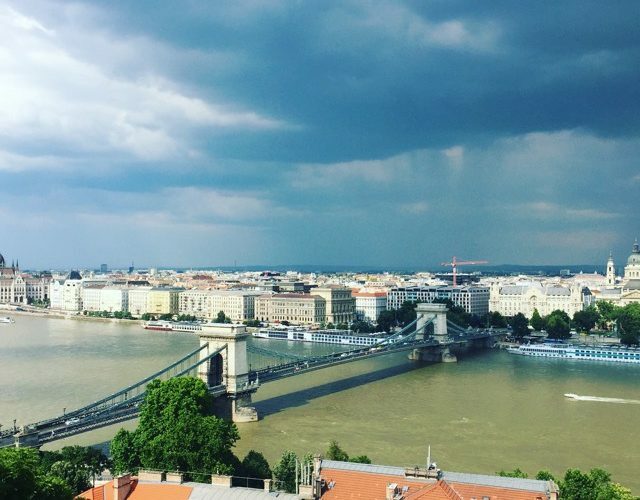 Top 10 foods in Budapest, Hungary + drinks and activities - Must. Eat. World. Budapest took me by surprise. I wasn’t expecting the city to be this cool, this full of life and I certainly wasn’t expecting the food to be this good. But before we get to the food, I would like to tell you about the thermal baths in Budapest. Not one to pamper myself at all, but the baths are one of the most relaxing experiences I’ve ever had. There are these thermal pools with temperatures raging from icy cold to really really hot, sauna, steam rooms and cafes. Some pools are spring fed some are not, but there is no shortage of options and you are bound to find at least one pool which is just perfect for you. I cannot emphasize this enough… the one must have experience in the city of Budapest, is spending an afternoon chilling at a thermal bath. Budapest turns out to be one of the few cities that I can actually see myself living in. There is just something about the food that makes me feel right at home. Wonder what could it be? I know… that something is called “paprika”. Hungarians love their paprika and use it in everything. The homemade or store-bought paprika sauce goes on top of everything as well and it makes every dish better. Paprika is used in a thousand different ways… with stuffed with minced meat, added to the soup, cooked with vegetables. You name it… they make it. Paprika is everywhere. But, I didn’t just fall in love with the food because of Paprika. There is something else going on here that is very exciting… There is a street food revolution going on in Budapest that is just making the food scene so much better. It’s not just the introduction of quality international cuisine (which there is a lot of btw) that is good. The real difference for me is the modern take on traditional Hungarian cuisine which makes my mouth salivate every time I think about it. I don’t care if you’ve tried goulash anywhere else in the world. If you’re in Hungary and you’re not trying the goulash you’d be making a mistake. The goulash in Hungary is supposed to be a soup and not the thick stew dish stew dish you’ll find elsewhere. 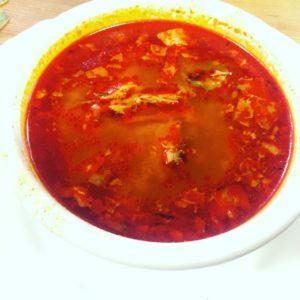 Go to Kiado Koscsma to try out some of the best goulash in the city. Pretty self explanatory and you will find these everywhere. Try both of them. You won’t be disappointed. Cirkusz Cafe is a great spot for some great Toltott Paparika and breakfast. 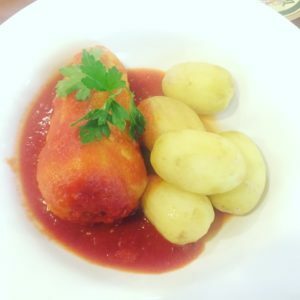 You can easily find many types of sausages from different regions of Hungary and neighboring countries ( yes… I’m looking at you Viennese sausage) here. Have some of the traditional stuff but then all go to this place called TöLTő. 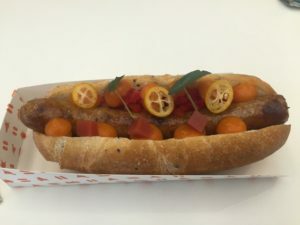 This is a modern hotdog place that uses traditional Hungarian ingredients (that obviously includes Paprika) to make amazing hotdogs with flavors like you’ve never tasted before. Fish soup doesn’t sound too exciting, does it? It’s pretty much the same everywhere, right? Not in Hungary. It is spicier, flavorful and absolutely delicious. Better than any other european country. Secret ingredient “paprika”. I’ve heard Hungarians say that that you haven’t experienced traditional Hungarian cooking until you’ve experienced this. I am not a big soup person, have never like it much. 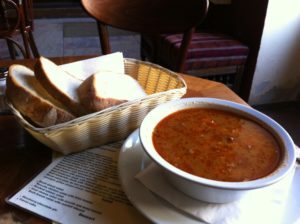 But as I am writing this I want to keep mentioning the soups in Hungary. They are just so good. I would very highly recommend going to this place called Bors Gastropub. Bors is a tiny soup shop that makes makes soups better than the Soup Nazi. Again Traditional Hungarian with a modern twist. 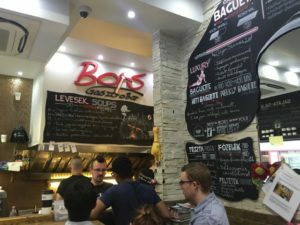 And when you are at Bors, you must try one of their baguettes. Some of the best grilled sandwiches ever. Eggs, butter, onions, some tiny sausages and surprise surprise… Paprika! Delicious. Deep fried dough lightly salted served with some sour cream and cheese. This one I wasn’t too excited with. Not enough flavor in it for me. But if you like the sound of deep fried dough with sour cream, go for it. This one is pretty simple… Go to Ruszwurm on the Buda side and get the cream cake and Dobos Torta and maybe some Retes as well! Szamos on the Pest side is supposed to be very good too. Budapest has quite a few historical sites that you can visit. But there are many fun things you should try out while you’re in the city. Ruin bars for some late night drinking are really cool, the Escape Rooms trend was started right here (i think) and it’s a lot of fun. If you want to drink an insane amount of beer white sightseeing, Beer bikes might be for you. And I’ve already mentioned the Thermal baths which was my favorite activity in the city. Budapest is truly a city that has something for everyone. So have you booked your flight yet?